You'll be met at your hotel by a representative holding a custom sign with your name, who will assist you with your luggage. 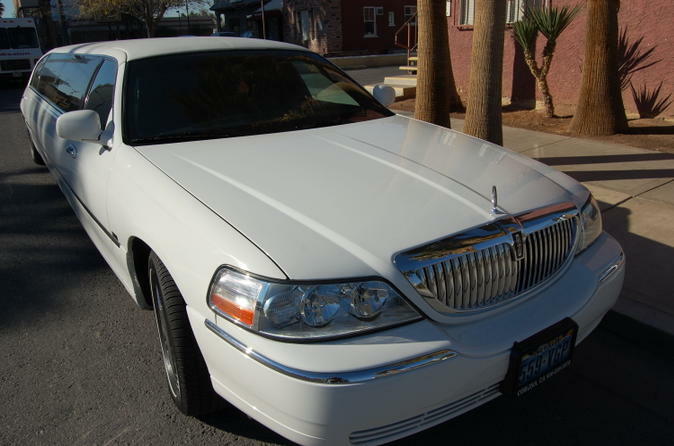 Once you are comfortable in the Super Stretch limo, settle into your seat and relax. Leave the traffic to the driver, who will deliver you straight to the airport. Operating from your hotel, this is the perfect way to complete your Las Vegas trip! And there is no need to tip your driver as that is all taken care of for you! Price is per person, based on six adults per vehicle.